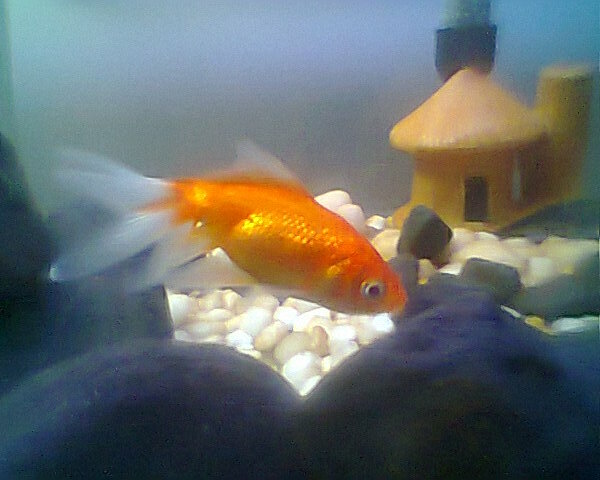 Yeah...the fish mysteriously disappeared a few weeks ago. Not even the remains in the aquarium. So I'm hoping that they all received an owl to attend Hogwarts.